Stop by the CUESA Classroom for a cooking demo featuring the seasonal bounty of the Ferry Plaza Farmers Market. This demo will highlight a farmer-chef relationship forged and sustained at the farmers market, featuring Marin Roots Farm. Tony’s upbringing was steeped in the tradition of food and family. He remembers reading old family recipes from 1902 that he still has today. Home cooking really was the start of his journey. Culinary school seemed the best place to start his career and after graduating from the California Culinary academy in 2006 he decided that regional Italian fare would be his focus. During a 10 month period in the Veneto region, he staged at some great restaurant, and was introduced to the history and culture of Italy. Upon his return to California, Tony worked at Michelin starred Charlie Palmer’s Dry Creek Kitchen in Sonoma County - a definite twist in his training, as the focus was on French inspired food. His next job at Taverna Santi in Geyserville brought him back to his roots, as the restaurant was focused on regional Italian cuisine. The San Francisco power houses of Quince and Cotogna were his most recent homes where the chef/owner Michael Tusk “made him a chef.” His experience between the two restaurants gave him an understanding of the importance of being true to our abundant ingredients here in San Francisco. This is where he also made many contacts with farmers and purveyors from whom he still sources ingredients today for Seven Hills. His close relationships with purveyors, including Marin Roots Farm, mean that he is constantly refining and changing the menu in order to accommodate seasonal changes. 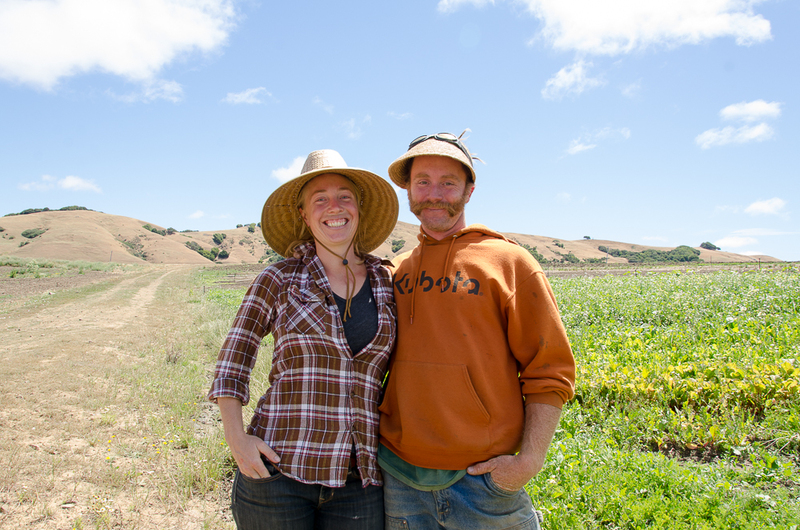 Jesse Kuhn of Marin Roots Farm became interested in farming in college, where he took classes in agriculture and eventually managed a student farm. After volunteering and working on several farms, he decided to start his own on leased land in Marin in 2003. “Farming is at the root of the sustainability movement,” says Jesse. “My farm provides its workers with a liveable wage, and we feed a lot of people from the ‘fruits’ of our labor. We are also working to educate the public about the importance of good food. It is not something to be taken for granted. Food is something sacred.” Moira Firmin joined the farm in 2014. All demos take place in the CUESA Classroom (under the white tents in front of the Ferry Building) and are free to the public, with recipes and samples for all.